Learn why local start-up FitnessTrainer.com joined the AIDS Walk this year. 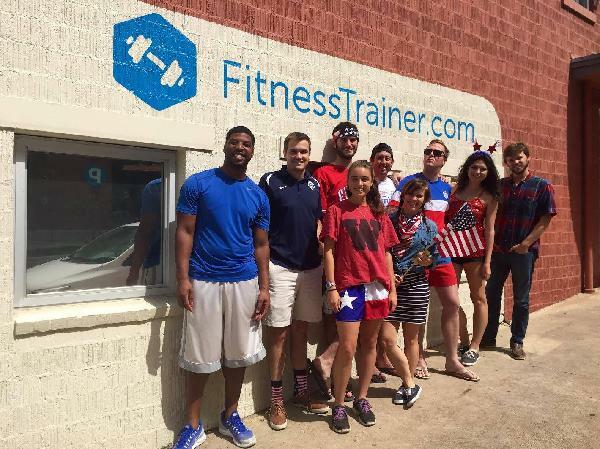 As an Austin-founded startup, FitnessTrainer owes a lot to this city full of people who have offered their support and guidance in the development of our company. We wanted to give back in a way that would benefit the entire Austin community. AIDS Services of Austin not only manages programs for those affected by HIV and AIDS, it also brings together Austin residents from all walks of life in an effort to eliminate stigmas, provide health education, and strengthen this quirky Texas town as a whole. FitnessTrainer is proud to be part of an event that donates 100 percent of money raised to local causes, and proud to join other Austin companies in supporting these services. We’re inspired to walk by the stories of our personal trainers and fitness professionals who are transforming the lives of others through a variety of health services — stories of people regaining health after suffering from high blood pressure or diabetes; stories of people losing weight and conquering the depression and low self-esteem that they had previously dealt with; and stories of people rehabbing severe injuries and relearning basic movements they need to carry out their everyday lives. For the people affected by HIV and AIDS in Austin, we also want those success stories. Participating in the Walk will allow the community to receive direct care, counseling, and so much more. This November 8, we look forward to walking in solidarity with coworkers, friends, and strangers to help make a positive impact on the lives of many in Austin. Click here to donate to the FitnessTrainer.com team.